Lasseter last year was forced out at Disney after acknowledging "missteps" in his behavior with female employees. 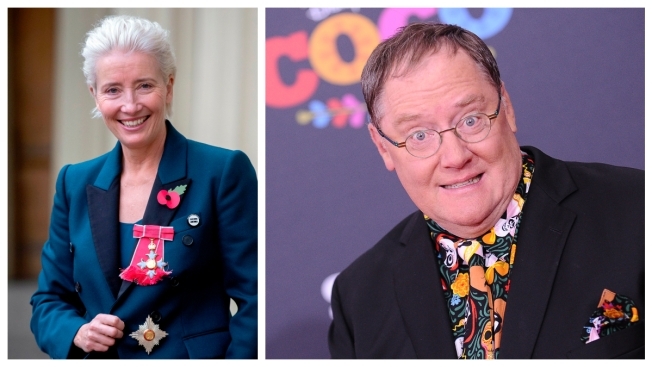 In a letter to Skydance Media, actress Emma Thompson outlined why she refused to work with the former Pixar executive John Lasseter and was withdrawing from the animated film "Luck." In her letter to Ellison, Thompson questioned why women at Skydance should trust someone who "has made women at his companies feel undervalued and disrespected for decades." A representative for Thompson confirmed the letter Tuesday, which was first published in The Los Angeles Times. Skydance declined to comment.